Spring is already here. And while some of you are already preparing for the hot summer season, we can still talk about the latest fashion trends in men’s designer clothing for spring 2014. Men’s fashion collections for this season offer us preppy and athletic designer clothing. Check out the top trends we’ve picked for your. 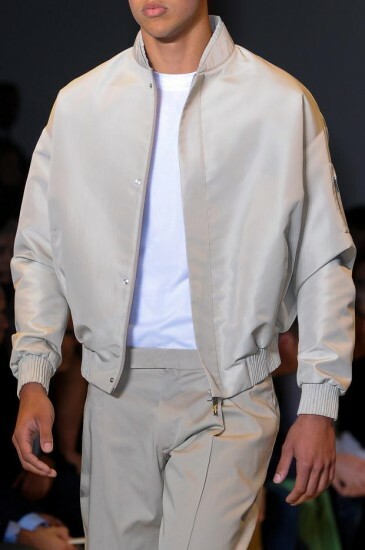 Bomber jackets are one of the hottest trends in men’s designer clothing we saw at New York Fashion Week. The best thing about this kind of jacket is that it looks great with pretty much everything. If you want to buy one, choose a model with a slim silhouette, otherwise you risk looking too bulky. There are a number of options available – leather, wool, different colors and color-blocked, athletic styles and so on. Since it’s still kind of cool outside, you need to wear a jacket most of the time. 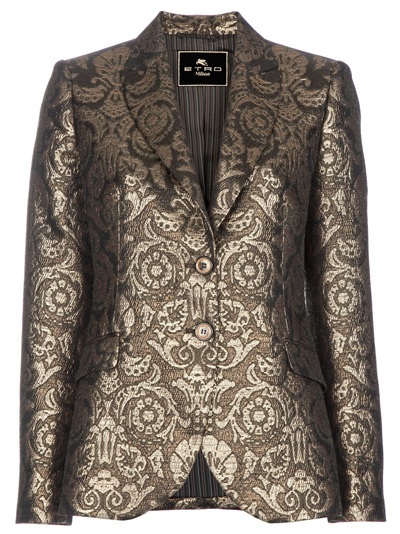 If you want to follow the hottest trends in men’s designer clothing, you can buy a patterned jacket. When you go out shopping, expect to see lots of different patterns and prints – from plaid to floral and even camouflage. If this is the jacket of your choice, wear it with pants in solid colors. If you are not afraid to experiment a bit with your appearance, you can try to combine a patterned jacket with some contrasting print underneath. If you’re more into the sports style, but still want to look fashionable in designer clothing, you can choose a color-block shirt. The patterns can be horizontal, vertical or diagonal. This is quite a popular choice for casual outfits. You can wear a color-block shirt with a classic black T-shirt underneath. It will also look great with all you favorite pants and shorts. 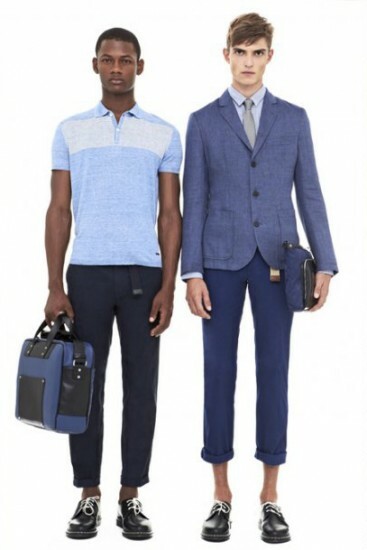 High-rise and rolled up pants are another hot trend in men’s designer clothing. Rolled up pants can be worn with sneakers or boat shoes. Just make sure the pair you choose fits you well. This style works best with casual pants, such as chinos or jeans. Keep in mind that this style is not appropriate with suit attire. 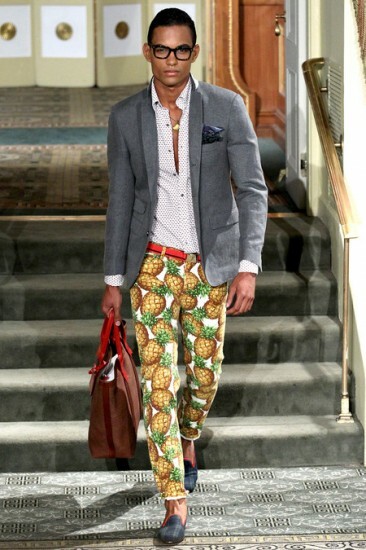 Printed pants are also among the latest fashion trends in men’s designer clothing. They’ve been a very popular choice in women’s fashion for years, but this season they’re taking over the men’s market. If you choose to wear a pair of printed pants, you need to keep the rest of your outfit minimal. You should also be careful to pick well-tailored pants, otherwise you risk looking like you’re wearing PJs on the streets or at the office. 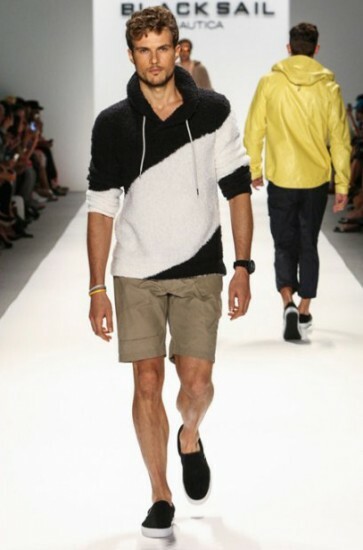 Fashion trends in men’s designer clothing for spring 2014 offer a variety of choices – from stylish and classic outfits to really fun and unexpected pieces. Whether you’re looking for outfits to wear to work or for casual meetings with friends, the new men’s fashion collections have something to offer. If you’re interested in men’s designer clothing, you can check out the websites of your favorite brands.